The Royals last visited the White House in 1985 when President Ronald Reagan saluted their “never-say-die spirit” in the Rose Garden. The 2015 team showed the same quality. Six outs away from playoff elimination, the Royals scored seven runs to defeat the Houston Astros. They went on to win that series and to beat the Toronto Blue Jays and the New York Mets. Obama noted that the Royals held the record for comeback wins in the playoffs. But Obama said that began to change when General Manager Dayton Moore was hired and the Royals started to develop talented players through their minor league system. Among them: outfielder Alex Gordon, infielders Mike Moustakas and Eric Hosmer, and catcher Salvador Perez. 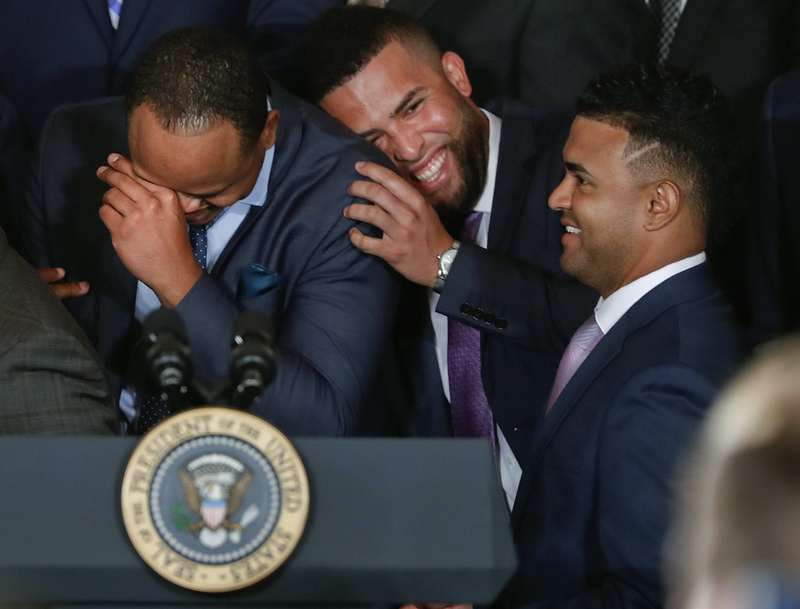 Obama called each of the players by their nicknames, “Gordo,” ‘‘Moose,” ‘‘Hos” and “Salvy.” But the president didn’t seem to find those too creative. “We’re going to have to work on these,” Obama said. “That’s a good quote,” Obama said. Obama noted that his spokesman, Josh Earnest, was a big Royals fan, and that the Royals visit Thursday was right up there as far as best days ever. Manager Ned Yost, Hosmer and Perez interrupted the day’s press briefing to present the Kansas City, Missouri native with a team jersey, an upgraded mug and an autographed World Series baseball. Yost said the team didn’t want Earnest to get into trouble “by him trying to hijack” the president’s jersey. 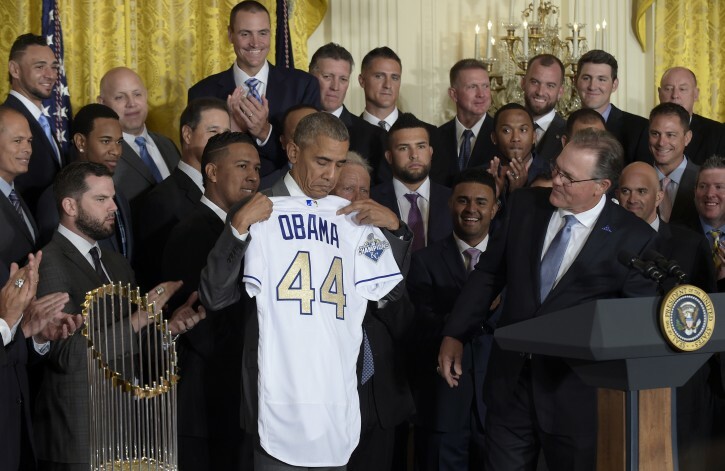 The team gave Obama a Royals jersey with the number 44 in gold lettering, which nicely matched the ornate drapes in the White House East Room. Obama has not been as good as Liberals claim or as bad as Conservatives accuse him of being.